This morning I knew that Christmas 2011 was finally over. It was not because of the houses that no longer had their lights up (man, that was fast), or the storefronts now emblazoned with large red hearts (man, that was faster). It wasn’t because of the relatively warm temperature outside, at a balmy 38 degrees heading for a high of 52 for the day. I say balmy because, as the Northeast U.S. will recall from 2010, the day after that Christmas was one of the worst snowstorms the region had seen in years. By contrast, this is beach weather. 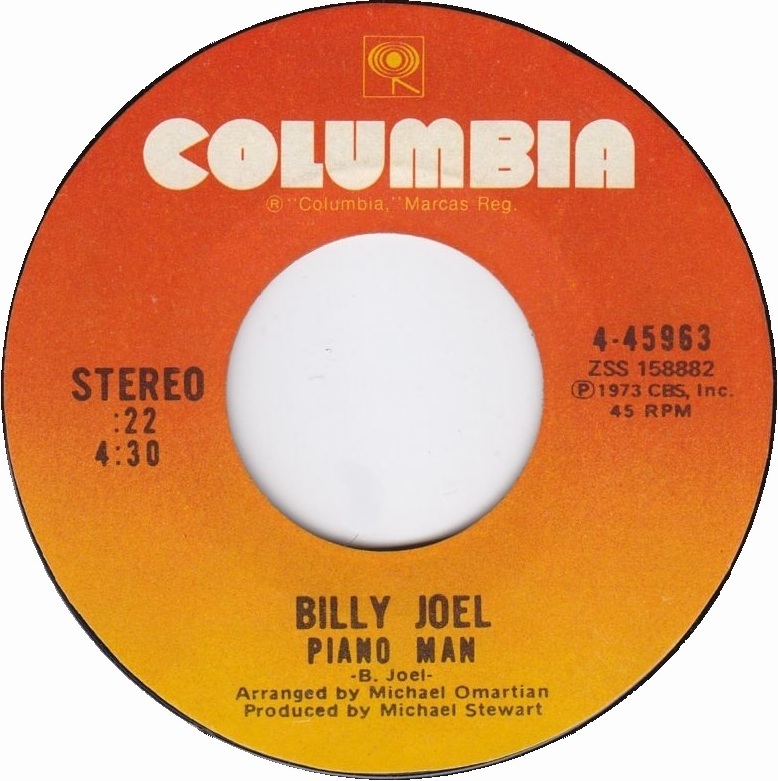 I rolled into the 7-11 for a morning cup of coffee and, instead of the surplus of holly-jolly being played over the radio for the past month, it was Billy Joel’s “Piano Man.” I’m not sure if that is progress, switching out a playlist endlessly on repeat for one of the most-played songs in pop music history, but it was a change. At first it went by almost disregarded, but by the time the line “Bill, I believe this is killing me…” emerged, I finally felt it. I knew it was coming, but here is was, bold as life and twice as dark. All in all, I think it was okay. I had to deal with the usual cranks that hate the holidays and seek to sabotage it in ways both small and great, but I did so while working at the job I was hired onto in April; a job which has brought me to a level of stability I haven’t had in years. Their Christmas party seemed to go on for many happy days, enthusiastically rolling out bit by bit. What a relief to be around people that actually enjoyed the season–a far cry from my retail years where the food, while appreciated, was a preface for some of the most hateful, egregious behavior exhibited in Christ and Santa and the little Indonesian kid what knitted those snowflake socks’ name. Did I ever tell you the story of the two old ladies fighting tooth and nail over the last pair of holiday-themed socks? I should; it’s a good one. The balance my co-workers provided this year offset the usual imbalances of people so scarred by the holidays they can’t help but wreck them. I appreciated that immensely. My grandmother has been on hospice for the past couple months. I visit her every Sunday and have done so for three years now. Last year I was able to get her in a wheelchair and take her out to eat. The year before that, she could get in and out of the car on her own, and before that she wasn’t in the nursing home. Nobody has viewed this as speedy a decline as I do, and maybe this is because I’m so close to the event. Still, she has made it through this Christmas. I believe it is her last and, if so, 2012 is going to be fairly hard on me. I find as I get older that I’m missing the thrill of the season while it is on and mourning its passing after it is too late to appreciate it. In the three weeks I’ve had the tree up, I’ve turned the lights on probably less than ten times. On New Year’s Day, I’ll strip it down, disassemble it, and jam the boxes back up into the attic. It’s a very mechanical process. I wasn’t really intending to put it up, but when it was determined there would be guests on Christmas Eve, and they would be my young nieces and nephew, it just seemed right. And it was. In spite of the lyrics that insist Christmas is for everyone, it is mostly for the kids, and if you have kids around you to experience it, without the preconceptions and expectations but with the wide-eyed joy one gets from crawling under a tree to stare at the column of lights, you are blessed. I haven’t a wife, girlfriend or kids. The three can be, in this age, mutually exclusive or completely intertwined, and during the holidays, if you haven’t one or two (but not all three, you cad) in your life, this is kind of what the celebrations become. You live for the moments when you can give and that gift is received with an expression of gratitude, not of disappointment or, worse, disdain. That is what my nieces and nephew bring to me. Sure, the back-pocket romantic in me still thinks maybe someday I will find Miss Right who finds me, but this is becoming more and more of a longshot. People enter into your life that are everything you could ever hope for, and consequently, others already have entered theirs and their hopes have been rewarded. That’s how it goes. The holidays and romance seem to work together, but isn’t it funny that some polls say many breakups happen between Thanksgiving and Christmas, partly due to anxiety based upon an inability to please his or her partner, but just as often because they don’t want to be attached at that time? I can’t think of a better time for that attachment, but of course that’s what I would think. You don’t miss your water t’il your well’s run dry. So I was aware this morning that the roads seemed just a little darker, having gotten used to the holiday lights’ extra illumination. I saw the windows of the stores in their endless evolution of commerce and thought, “Gee, so soon?” Then I heard “Piano Man” and realized where I was standing, feeling like I had been picked up in one spot and dropped in another, straight over a whole chunk of celebration, and not fully appreciating whatever it was I was promised as a takeaway. My shoes felt funny, like I was standing in a river with water running past my kneecaps, but the 7-11, and my feet, were bone dry. Billy Joel was singing about tips and beer, and inside I was longing for a do-over. And that’s when I fully knew that Christmas 2011 was over.